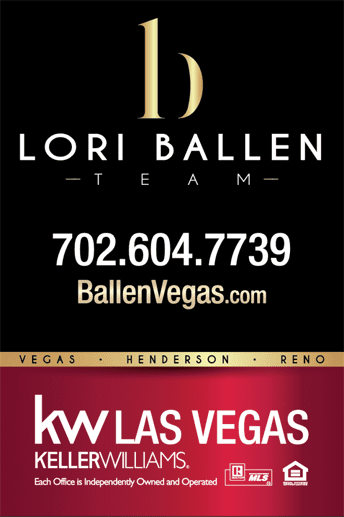 How much Can I afford to buy a home in Las Vegas for? Rather than focusing on the purchase price or lender offers, decide how much you can spend on a mortgage payment each month. A common rule of thumb is that your mortgage payment should be between 25 and 30 percent of your income. In truth, 30 percent is too high for many people. The only reliable way to determine what you can afford is by adding all of your monthly bills and expenses. Make sure to get estimates of what your new utilities will cost based on the size of the home you plan to purchase. For area specific rates, consult local service providers or your real estate agent. Remember to include cost of living changes as well. Even over small distances, the price of gas, groceries and other necessities can change dramatically. Long-term savings is another overlooked cost. Do not make the mistake of assuming that future wage increases will allow you to save money later on. It is a good idea to plan for savings right from the start. Once you are comfortable with your estimates, you can start looking at the other costs that factor into mortgage payments. The next step of the process is to determine how much you can put down on a home. Save as much as you can, but make sure to set aside some money for appraisals, inspections, closing costs and moving expenses. If you can save enough to put 20 percent down, you will be much more attractive to lenders. Additionally, loan products with a 20 percent down payment requirement are easier to obtain if your credit is less than perfect. Private mortgage insurance (PMI) is what lenders use to protect themselves from risky borrowers. If you put down less than 20 percent, you will probably have to pay PMI every month as part of your mortgage payment. As your down payment decreases, PMI rates go up. Speak to as many lenders as you can to learn what rates to expect. Make sure to ask how long you will need to pay PMI. Some loans, such as those backed by the Federal Housing Administration, will require you to pay PMI for the life of the loan. Other products will allow you to cancel PMI after you have paid enough towards the principal balance. Interest rates can make or break a loan deal. A slightly higher interest rate can add a large amount to your monthly payment and end up costing thousands of dollars more over the entire loan term. There are many ways you can lower your interest rates. Start by visiting a loan officer wherever you do your banking and ask for a copy of your credit report that includes the credit score. Do what you can to eliminate any negative marks on the report to improve your credit score. You can also look at mortgage products that allow you to purchase discount points. Discount points will cost one percent of the loan amount and will usually lower the interest rate by 0.125 percent. Paying for discount points is often a good option if you don’t plan on selling or refinancing the home in the foreseeable future. In most cases, property taxes will added to your mortgage payments as well. Property tax rates are relatively easy to find by visiting the county auditor or tax department’s website and doing a property search. If you don’t have a property in mind, call the tax department and ask about the tax rates. Getting Home Owners Insurance may require some persistence on your part. If an insurance agent thinks you are just window-shopping, they are likely to give vague answers. It is also difficult to give ballpark numbers because of the many variables among homeowner’s policies. To avoid the hassle, start by asking family and friends what they pay for homeowner’s insurance. If you don’t know anyone in the area you are shopping, talk to your real estate agent. An agent’s referral will show insurance agents that you are serious about buying a home, and they will be more likely to spend time answering your questions. Once you’ve done your homework, look online for a good mortgage calculator. Keep in mind that not all calculators are created equally; some are designed to paint an overly optimistic picture. A good mortgage calculator will allow you to enter all of your data, including purchase price, interest rate, loan term, PMI rate, taxes and insurance. 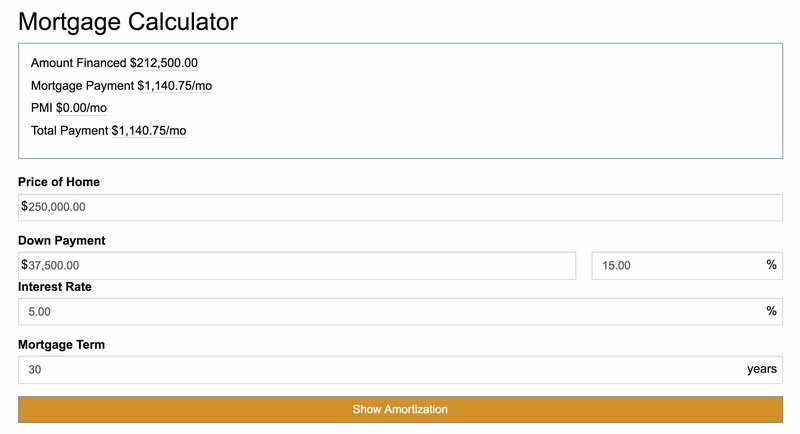 In addition to providing monthly payment information, it should also generate an amortization chart so that you can see how your loan will break down over the years. Simply adjust the purchase price until you find a monthly payment in your comfort zone. Once you have settled on a price range, you will be one step closer to being a homeowner. You will be able to start touring homes in your price range while shopping around for the best mortgage deals. The best part is that you won’t have lingering doubts about what you can afford, allowing you to fully enjoy the house-hunting experience. How Much Can I Afford for a House Payment?